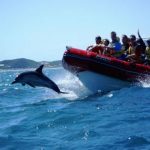 Seals by Sea Tours is a family owned and operated venture founded by, and still currently run by Jo Austin and his family. Seals by Sea Tours is the only mainland breeding colony of seals in Australia, home to over 2000 Australian and Long Nosed Fur Seals and is without a doubt one of the most popular natural attractions in the South West. Operating for over 19 years Seals by Sea Tours is an extremely popular, fun, adventurous and educational experience suitable for all ages. Our seal tour begins with a short walk along the beautiful Great South West Walk, to a one-of-a-kind tin shed where our tour boats await. An exhilarating three-minute-journey across the sea follows, delivering visitors to the striking seal colony, abundant in playful Australian and New Zealand fur seals. Along with the hundreds of seals, passengers are guaranteed to see many other forms of wildlife that are frequently sited on the tour. 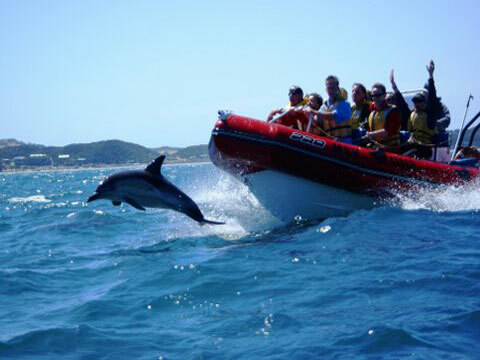 Dolphins, blue whales, killer whales, penguins and many kinds of fish are regularly spotted. During the 45 minute cruise you will watch the seals play all around you, showing off to the sound of clicking cameras and getting up to antics that will delight both the young and young at heart. Bookings are essential as departure times vary according to season and demand.